This week, Ailsa‘s photo challenge theme is Spices. 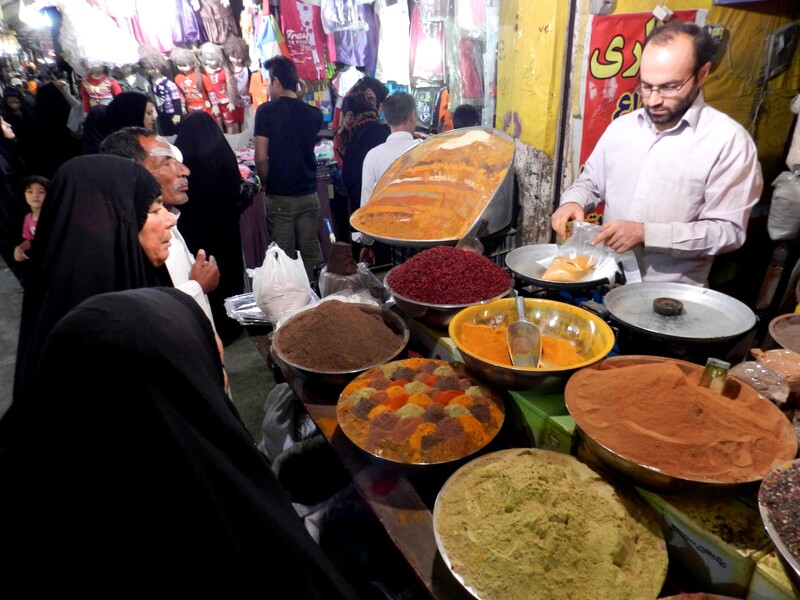 Taking photos on markets is always a great thing to do when travelling, and obviously spices typically make good shots, particularly in the Middle East. I’ve enjoyed looking at and smelling spices in markets in Iran, and here are a few photos from that trip. 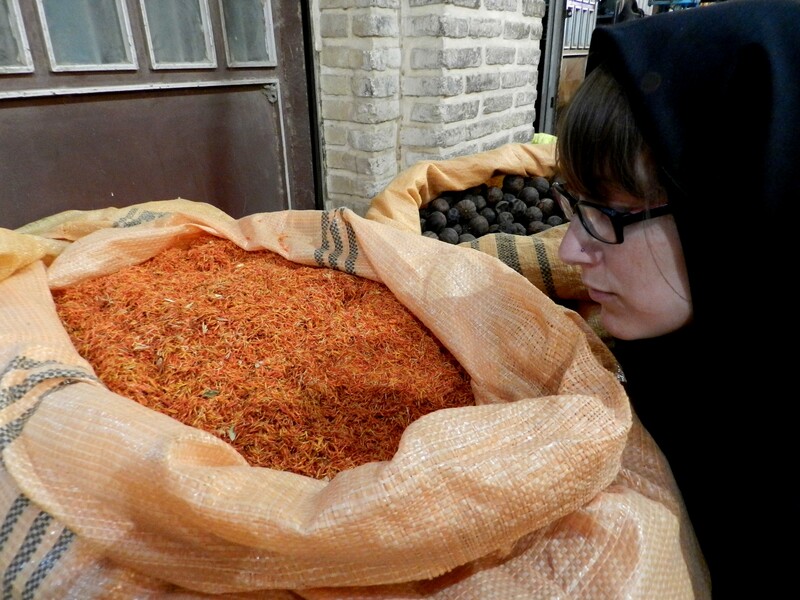 This is me with saffron in Shiraz. In the market in Esfahan. If you visit Iran, promise me to try the best smoothie in the world: banana juice with freshly grated cocoonut and a hint of cinnamon! Wow that’s a lot of saffron! If I’m even in Iran I will try to remember about that smoothie.